With word this week that renewable power now accounts for one-fifth of all energy generated in Australia, it could be worth taking a look at one to watch and one to be wary of in 2019. Wind and solar farms, along with solar roof panels continue to gain traction according to the latest Green Energy Markets report. This trend has meant that over the past couple of years, investment in the sector has remained strong. A report by Bloomberg New Energy Finance suggested there was a record $12 billion in investment in the sector in 2017. By late last year, the utilities sector had become a standout performer, driven by a surge in renewable energy investment. Commonwealth Bank of Australia senior economist Kristina Clifton said of the sector’s performance, “Private capital spending in the utilities sector rose by around 75% in 2017/18. The graph below illustrates the rising trend. 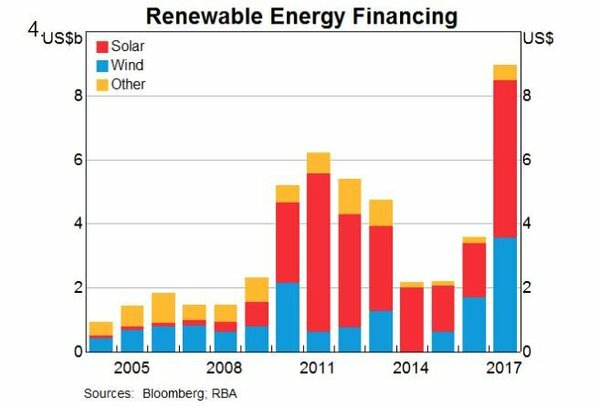 The rising trend of investment in renewables. So, with private and public energy investment on the rise, are there any stocks on the ASX that stand out? Here’s one to watch and one you may have to reconsider. A reasonably steady performer. 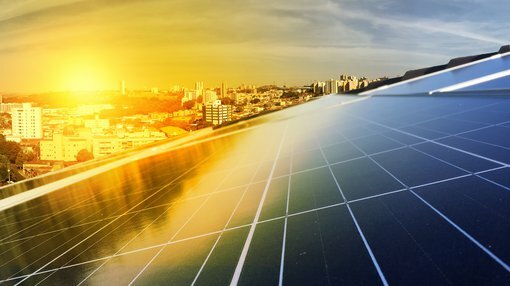 New Energy Solar is an ETF with a current share price of $1.42 (as at COB 7 Feb), that invests in a diversified portfolio of solar energy assets. Established in 2015, NEW owns and manages large scale solar generation facilities and may invest in other renewable energy assets including wind, geothermal, hydro-electricity, hybrid solutions. It struck its first deal to buy a solar power project in Australia last year. In a $113 million deal, NEW took over operation of the 50-megawatt Manildra project in central NSW. The plant, formerly owned by major US player First Solar (NASDAQ:FSLR), has a 10-year power sales contract with EnergyAustralia and an offer to extend to 2030. This acquisition followed that of several solar projects in the US, which fit the company’s criteria of low risk projects that offer attractive returns at competitive prices. 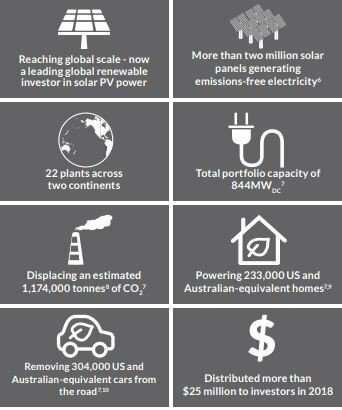 The fund has invested more than $1 billion in solar plants across the US and Australia and will achieve another milestone on home shores shortly with construction of the large Beryl Solar Power Plant and Mount Signal 2 Solar Power Plant on track to be completed later this year. NEW distributed more than $25 million to investors in 2018. NEW outperformed the Renewable Energy Industry which returned -38% over the past year, but underperformed the market in Australia which returned 1.7% in the last 12 months. Analysis by Simply Wall St suggests that the fund is undervalued, based on future cash flows and its price relative to the market. The fund has no debt and pays a higher dividend yield than the bottom 25% if dividend payers in Australia. However, it is below the top 25. It has been a tough time for Carnegie Wave Energy. 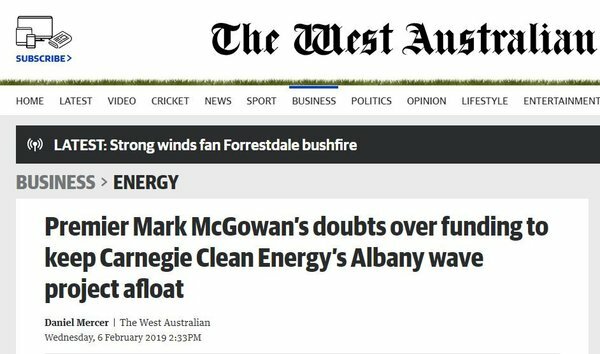 Just a day ago WA Premier Mark McGowan cast doubts over funding to keep its Albany wave project afloat. The company has until later this month to prove it can come up with the funding to keep its project going. McGowan also laid part of the blame at the feet of the Federal Government’s R&D tax concession changes. CCE only has a few more days to prove it can fund its project. “It’s very unfortunate because the R&D tax concessions by the Commonwealth Government that are important to the business model for Carnegie were changed,” Mr McGowan said. “That was outside our control. Interestingly, shares in Carnegie were up 0.1¢ to 0.4¢ at COB yesterday, but still well below the recent high of 2.4¢ in July last year.